Moving overseas and about to become an Australian expat? Then make sure you have these apps on your phone before you go. They will make your life easier and potentially even save you money! 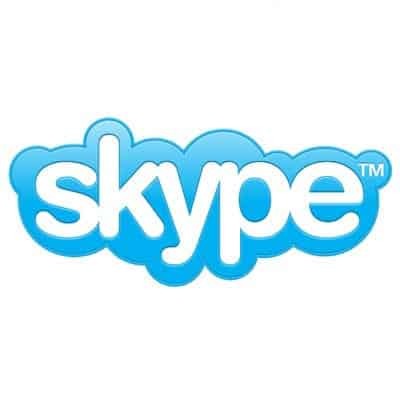 Many of us already use Skype from our laptops, but it’s a handy app to have on your phone too. That way, you can use it to call landlines and mobiles back home in Australia when you’re on the move. It’s the perfect way to save money if you need to call your Australian bank, or your family or friends. If you want to still be able to watch your favourite Aussie TV shows, then it’s handy to have this VPN service. You can log in and hide where you are really accessing the web from, so your favourite services still think you’re in Australia. Hiding your VPN also makes accessing private information like online banking and emails more secure when you’re overseas. If you need to transfer money into a foreign currency while you’re overseas, OFX is one of the best transfer services out there. Perhaps you need to transfer over the funds from your expat tax returns in Australia? Then this is the service to use. OFX easily lets you track different rates and book in international money transfers. You can also set it up to get alerts to your phone when exchange rates change. If you’re moving overseas, the chances are you will be in a country where English isn’t the first language. This can sometimes be a challenge, which is why we recommend having Google Translate installed on your phone. From helping you to understand a restaurant menu or simply explain a word to a shop assistant, this app is a very handy one to have in your pocket. We’ve all heard of Amazon Kindle, but Zinio is another reading app that differs in that it allows you to access digital magazines. If you simply feel you cannot live without your favourite Aussie magazines, then this app is a lifesaver. Best of all, it’s much cheaper to download digital copies than it is to get the hard copy versions while you’re overseas! Do you have a favourite expat app or website? Let us know in the comments below!